As a well established company with nearly 30 years of trading and a vast wealth of knowledge we have been able to build and maintain an enviable reputation and client database, due to the hard work and dedication that we show to each and every customer. 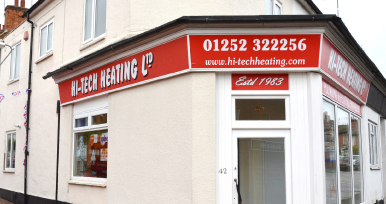 We take pride in providing a reliable and professional service at very competitive rates for every job and our team of fully qualified specialist installers & service engineers cater to all types of central heating and hot water systems, specific to your individual needs. Based in the Farnham, Aldershot area we travel to all premises within a 30 mile radius in order to provide you with an exceptional service. We offer a very competitive service at realistic rates for today's market, whether it is for a small maintenance job or a larger installation of a boiler or bathroom suite. 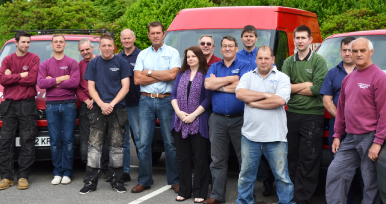 We pride ourselves in giving a friendly and personal service to our clients, yet our professionalism and knowledge of the industry are paramount to you the customer.